Scrap yarn challenge - can she do knit? Home » H.A. 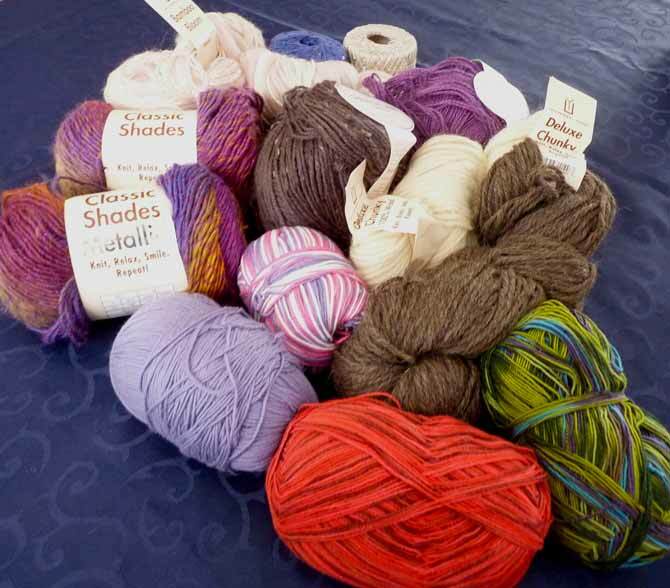 Kidd knitting supplies » Scrap yarn challenge – can she do knit? I make no bones about using up all my scraps, and I love a challenge. If you check out the Spring, 2017 issue of A Needle Pulling Thread (when it comes out), you’ll get a better idea of which I speak. 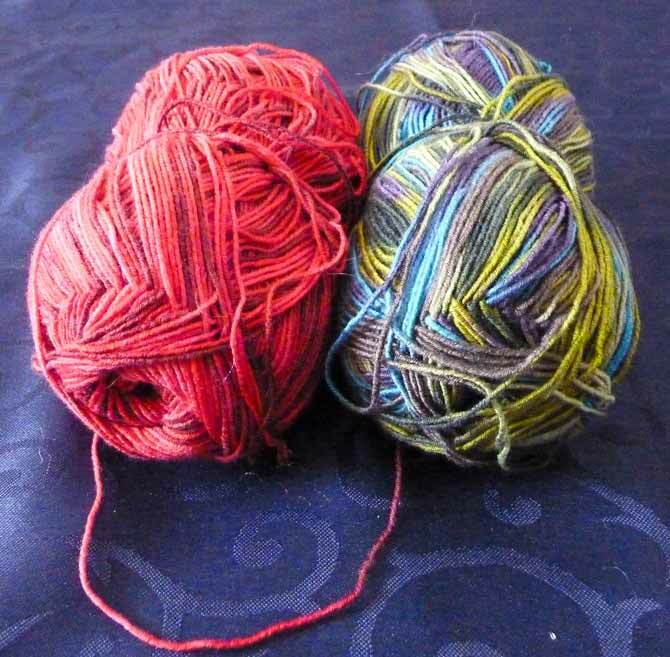 Once I had my article written for that issue (and it practically wrote itself), I was issued another challenge: to take the left over Universal Yarn from 2016 blog posts and make stuff with them. This is going to be fun, so follow me on this week-long journey to get ideas you can use to use up yarn scraps! So much to do! 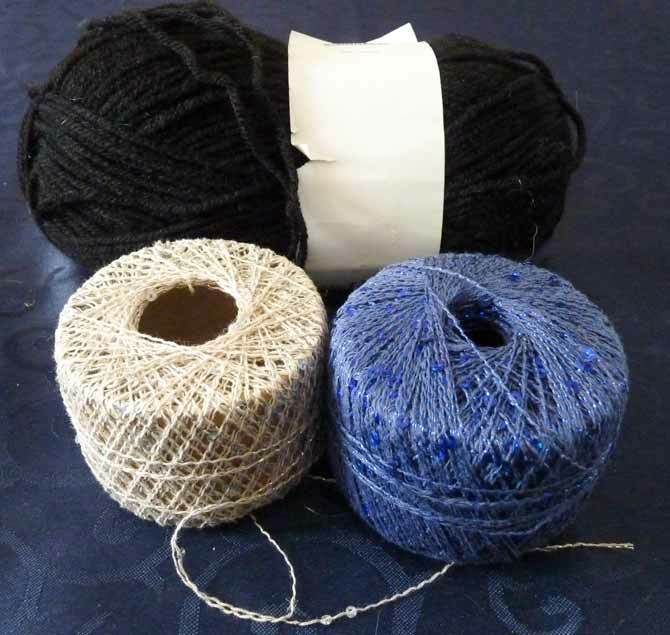 My challenge is to take these different Universal Yarns and turn them into fun-to-do projects. Let’s go! 89.0g of variegated reds, which is Allegro, also reviewed by Charles that same week in December. 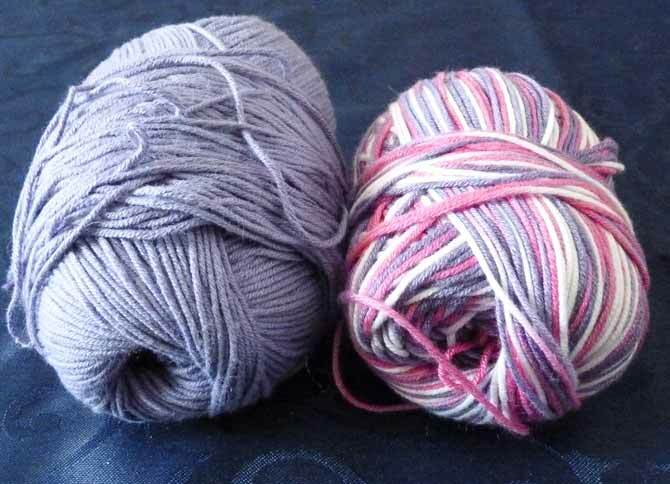 Both these yarns work with size 2 [2.75mm] needles. 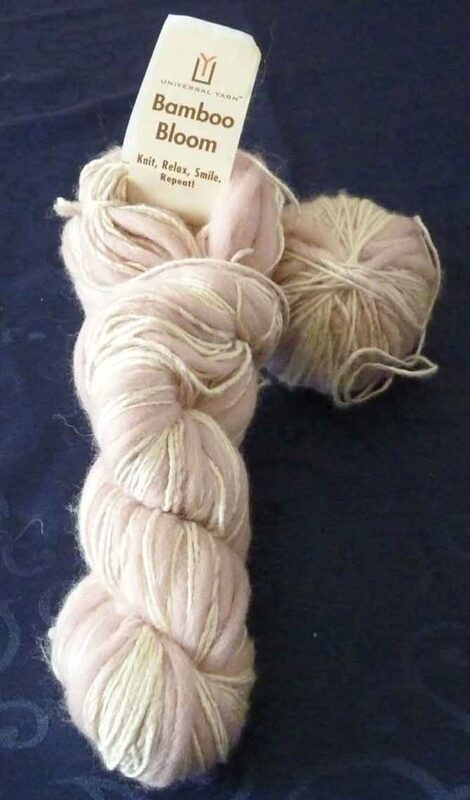 There’s enough of this soft pink to make something frothy for a winter coat. There are a total of 252g of the Bamboo Bloom, rice colorway, size 9 [5.5mm] needles. The metallic fleck in Classic Shades Metallic is quite subtle. The dark brown color of this ball of Deluxe DK Tweed would make a manly project! 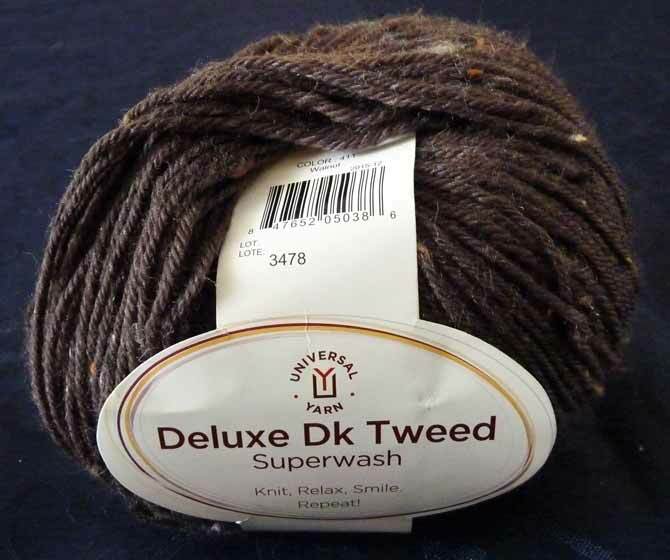 100g of the Deluxe DK tweed Superwash. The color is Walnut, and the recommended needles are 6 [4mm]. Java is a 100% hemp yarn. Hemp has natural anti-bacterial qualities, and it dries faster than cotton, which makes it ideal for kitchen and bathroom use. 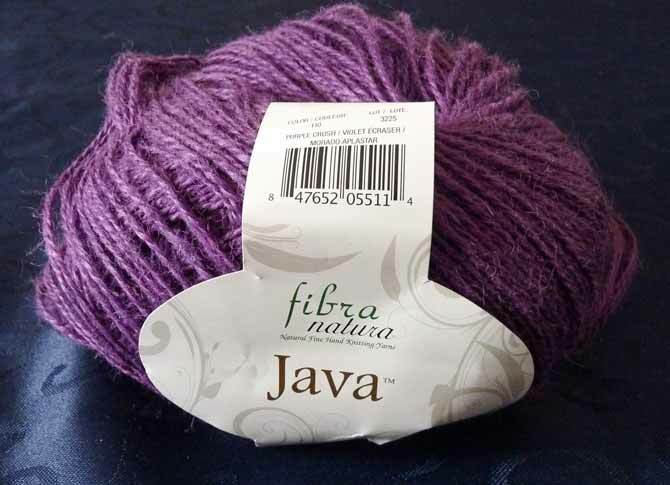 100g of the Fibra Natura Java hemp in Purple Crush, with recommended 6 [4mm] needles — pretty sure I know what I’m going to make from this! Oooh! 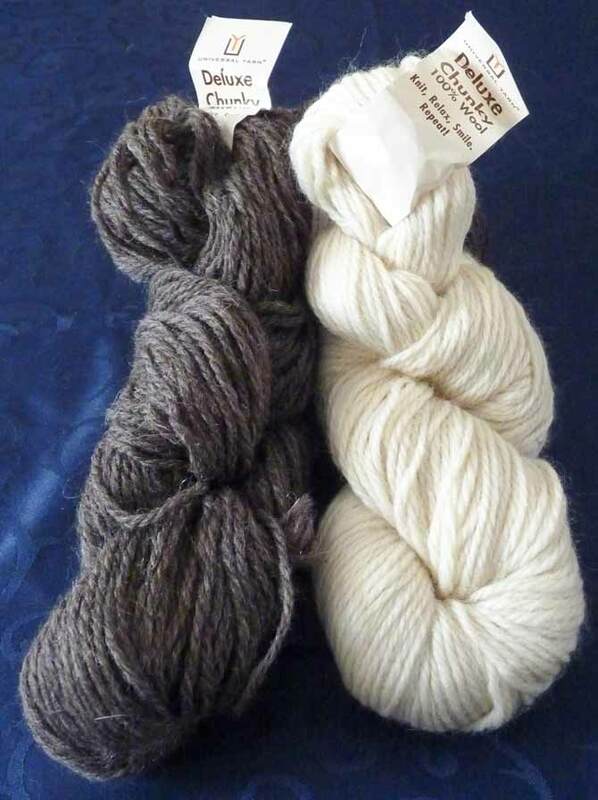 TWO skeins of a very soft, lofty, chunky wool yarn in natural fleece colors. I’m feeling something Fair Isle coming on! 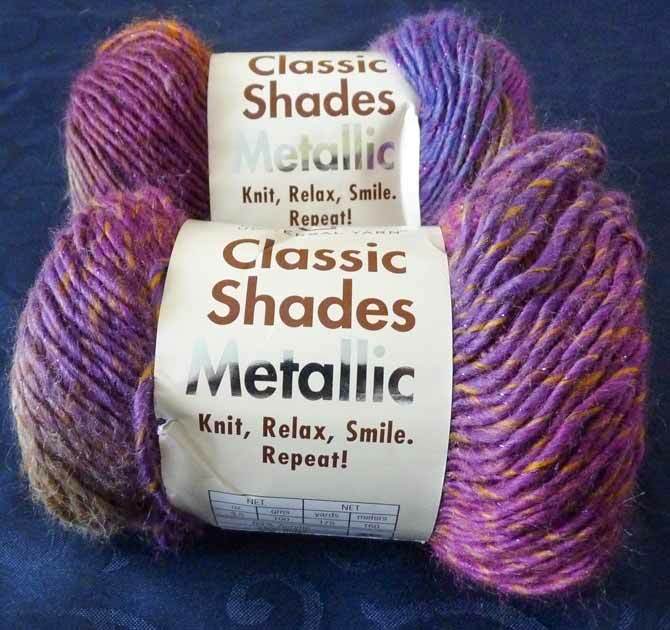 100g each of the Deluxe Chunky 100% wool, which is beautifully soft, and calls for size 9 [5.5mm] needles. The two balls of Rozetti Cotton Gold in the foreground are leftovers from my blog posts in November. I have great plans for them that involve the black acrylic double-knitting in the background, also leftover from another project — two, actually! There are 35g of the blue Rozetti, for which I definitely have plans! There’s a scant 5g of the off-white and the black, but that’s enough to do something similar! Now, we only have four days left in the week, but I’ve got enough scraps for eight projects. Whatever will I do?